UPDATE: Some followers have let me know that they've heard these charts called tornado charts or butterfly charts. Basically, the consensus is that this type of chart doesn't have a name. That's ok though! 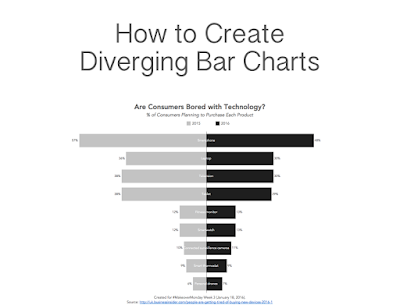 For this week's tip, I show you how to make diverging bar chart or bikini charts or whatever they are called. Thank you for this great post. I put this to work on a viz I was working on today. 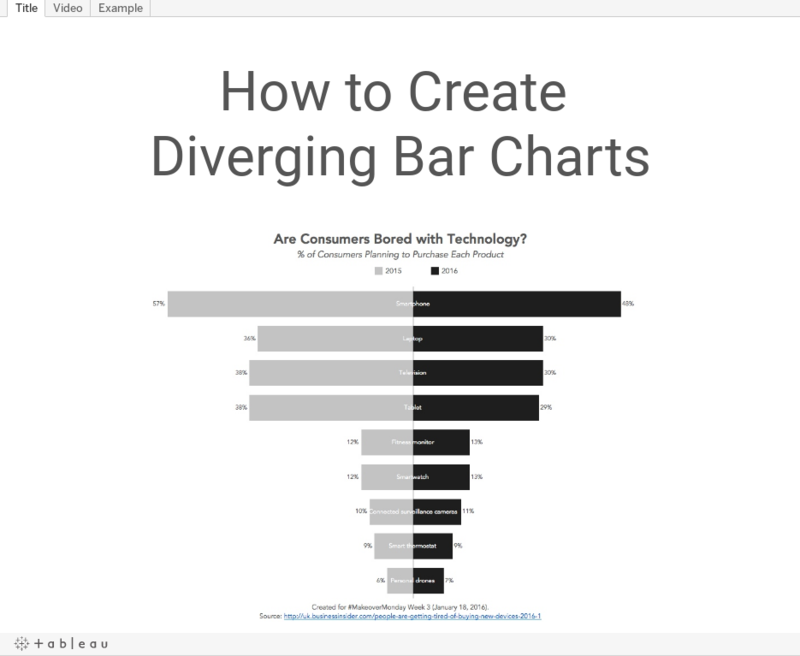 I love to learn something new and doing it in Tableau. Especially when the solution is simple and effective. Great walk-through, as always. Interesting point on the name of the chart... I hadn't heard "Bikini Chart" before; I've always called it "Butterfly Chart" -- have also heard it referenced as "Tornado Chart" (obviously all are variations on a theme ;-D). Hi, Many Thanks for the above post. I have a suggestion, it will be better if you can give us scenario where we can use this kind of chart which you posted as "Tips for the week". Anthropologist and geographers use these "population charts" quite a bit. However, if 100% of a single population exists, it throws the bar to the right of the "zero" center point. In my usage, all the students enrolled in Auto Tech at my college were male, so this is the true path of INDEX = 1. As long as one row of female was enrolled, this technique works fine. Any suggestions?